As appeared on WNEP by Carmella Mataloni on February 28, 2016. 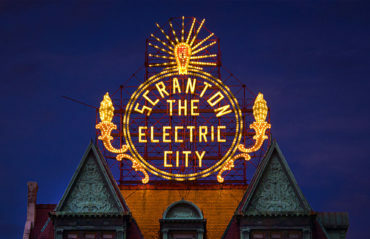 SCRANTON — Some pirates and their ship, an army and its tank, a news team and a live truck. 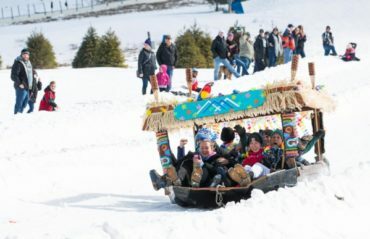 Those are just some of the people who participated in the first Fuzz 92.1 Cardboard Box Sled Derby at Montage Mountain Ski Resort in Scranton. 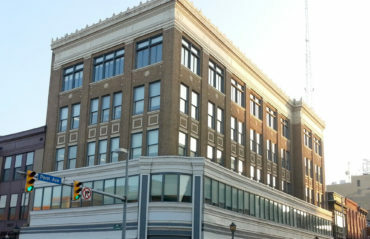 “I think it’s great and there should be more of this going on in this area because it’s fun. It gathers a bunch of people together to do something and makes everyone happy,” said Jacob Albano of Dunmore. “My mother and my friend’s mother had to hop in the car because my two friends were late and I think that was the most fun of the whole thing,” said Michael Kravitisky with the Grasshopper Lawn team. The sleds in the competition were made of cardboard, tape, glue, and string. Teams competed against each other and raced down the snow tubing lanes. Some sleds took hours to create, but others like the tank took even longer. “Oh, it took us a little over a month. Saturday and Sunday of every month with all of these guys in his garage and it just worked,” said Jarrod Jemiola of Suscon. More than a dozen sleds went down the mountain, including a cardboard live truck from Team Newswatch 16. Even though there were some tumbles and some falls, those we spoke to tell us this competition is something they would absolutely do again. “It’s a blast. You definitely got to do it once and then you’ll keep doing it,” said Bill Gribble of the Woods Ice Cream team. Woods Ice Cream Truck had nine members packed inside and cruised past the finish line with ease. Riders tell us the sled competition was a nice way to get family and friends together. “I think it’s great. We all got together for a month and put it together and now we are here,” said Rachael Macking of the Woods Ice Cream team. “Next thing I know, I’m getting thrown down a mountain. It was the first time and it was very interesting,” said Gribble. Even though some sleds didn’t make it down in one piece, there is always hope for next year.